This case is designed for mobile presentation applications that need to be set up and torn down quickly. The electronics are expertly installed by our CTS certified Custom Integration department. 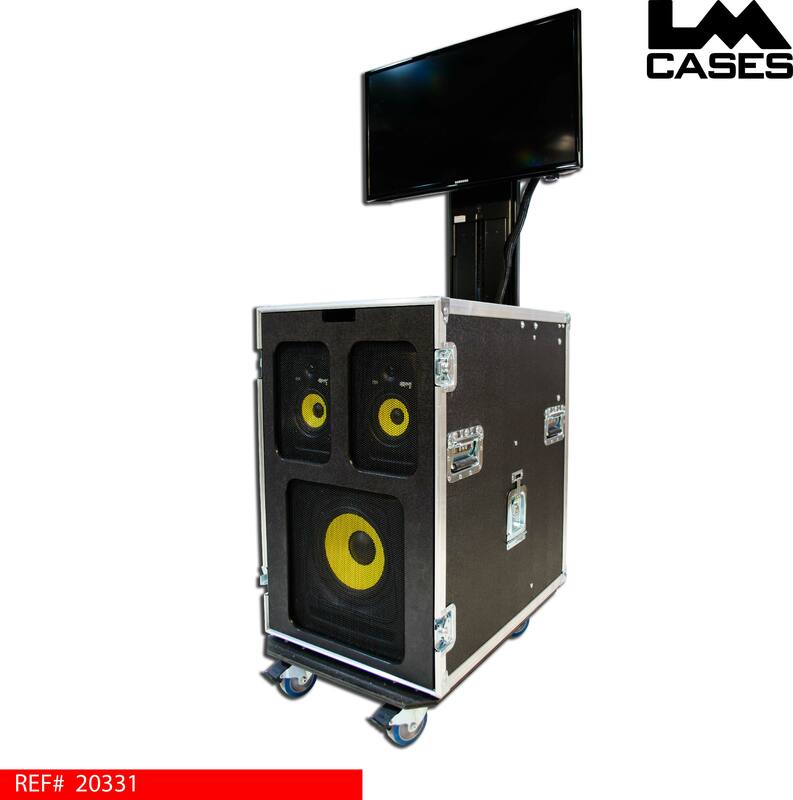 The case features a 32" Samsung LED-LCD TV mounted on a remote controlled lift, 2 KRK 5" dual driver speakers, a KRK 10" subwoofer, Apple TV. Apple Airport Extreme router, 6 outlet power strip and a custom patch panel that allows all of the TV inputs to be accessed via the top of the case. The case is designed to be set up and torn down very quickly, simply remove 2 lids and plug it in! The case comes equipped with a 30ft retractable extension cord allowing it to be a truly self contained unit. Designed for mobile sports teams and audio visual rental applications, the electronics are extremely simple to use: all functions can be controlled via the standard TV remote allowing even non tech savvy users to operate the unit with ease. The top of the case is designed to accommodate a laptop for presentations, 6 courtesy outlets and access to all of the TV's inputs are mounted just behind the work surface for short cable runs and maximum esthetics. As an added convenience, the case comes equipped with a wireless router to provide a mobile hot spot where ever the case is located. Wireless integration with Apple devices is provided via the Apple TV, this allows access to your iTunes library and screen sharing. 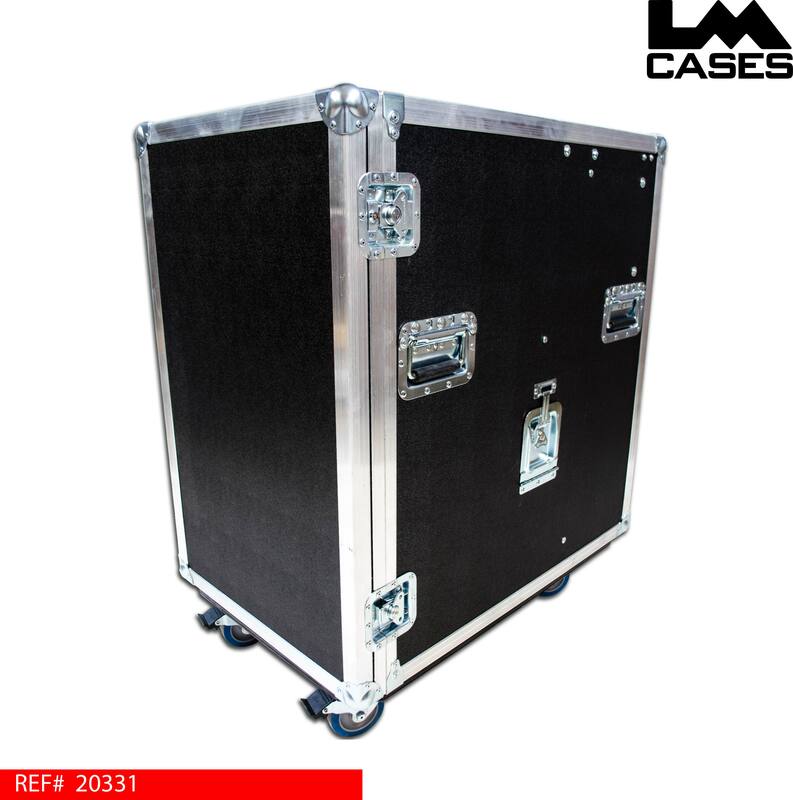 The exterior case is built out of 3/8" plywood and features deep recessed handles and 4" Colson casters.